After working hard through the years, we need to retire and enjoy the fruit of our labor. It happens in the right time, when we are at the age where working is not suitable for us anymore. But for some reason, people retire early due to various reasons. Early retirement is an option for some people who need to stop working before the proper retirement age. You may also see retirement resignation letter templates. If you plan on retiring early, you need to write a letter to the company you are working in. You need to state all the reasons for doing such thing. Check some of our templates and see what you can use to write one. 1. Set the tone and language. When writing an early retirement letter, set the tone of the letter into a professional one. You are addressing the letter to the immediate head of the company and you want an approval. Even with the need for an approval, write your letter in a formal way. It serves as a courtesy to your superior and for the letter to take effect right away. This letter must be written in simple language for easy understanding. 2. Put details about you. You need to put in details about you as the employee working for the company. This part breaks down the details about you. You can write as much as you want in here or keep it to a minimum as long as the company can see the details you put. You may also see letter template samples. 3. State the reason honestly and sincerely. This is the most important part of the letter. You need to tell them why you need to stop working for good. This is where you have to explain everything and tell them that working for more years in the company will add more stress as you have to juggle more things in your life. An honest and sincere tone in this part of the letter helps you get the approval you need. You may also see sample retirement resignation letter. It pays a lot to check the draft of your letter before printing. It must not contain any error because it is an official letter. Edit out spelling and grammar errors to make it look more professional and formal. After checking it one more time, have the letter ready for printing. 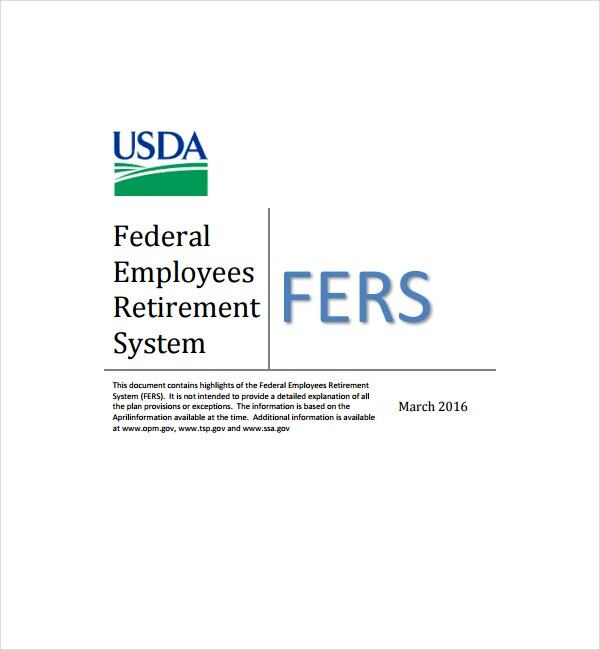 You may also see sample retirement letters. Your early retirement package should have a list of options on the health care that you need to have even when you’re not working anymore. Health is an important part of a person’s life and it should be maintained with the amount of savings you have. It can get quite expensive, so learn how to evaluate each healthcare option available. Go for a healthcare service that has great coverage. You may also see resignation letter templates. Social security is a government program that provides monetary assistance to people who have inadequate or no income at all. There are options for social security services that you can avail in the early retirement package. It depends on what kind and how much you would get. The benefits usually depend on it. For married couples, they usually get combined benefits. 3. Making money out of savings. Your early retirement package should also include the processes on how you can make money out of your savings. You still have daily expenses to spend on even if you are not working anymore. One option is to start a business, which might end up a success or a failure depending on how you manage it. You can also turn to making your hobbies a profitable way to earn extra money. A startup can also be a good way to turn your savings into more money. 1. Care for the family. If one member of the family is sick and has to get the ample amount of care he needs, you would be forced to retire early and do the job. It is more practical than hiring a helper since you need to pay the monthly salary. With the amount of money you have, you can get through the bills that need to be paid and the daily expenses. Caring for the family is an expected duty to be done, especially by children since the parents need more help as they grow older. You may also see sample resignation letter templates. Changing one job from another can be quite taxing physically, mentally, emotionally and financially. It makes you dissatisfied with the career you have and can drain all the energy you have left. It might be because of the nature of work, a demanding boss, or a mismatch of the job you have and what you went to school for. It can sometimes be caused by the bad attitude of coworkers or low salary. There are still other factors that can cause career dissatisfaction and once it starts, it does not end for a long time. Having a satisfying career mostly depends on hard work and a little on luck. You may also see resignation letter examples. When you are in your 50s and have worked for a company in a long time, you are considered as one of its assets. But some companies don’t thrive well like the others. They suffer massive financial losses due to mishandling of assets which leads them to layoff people, even the ones who were there from the beginning. If you get laid off given your age and experience, an early retirement is one of the best options to take. Some companies do not accept employees aged 50 and above, despite excellent track record and experience. Check your finances if you have saved enough to get you by in the decades to come. 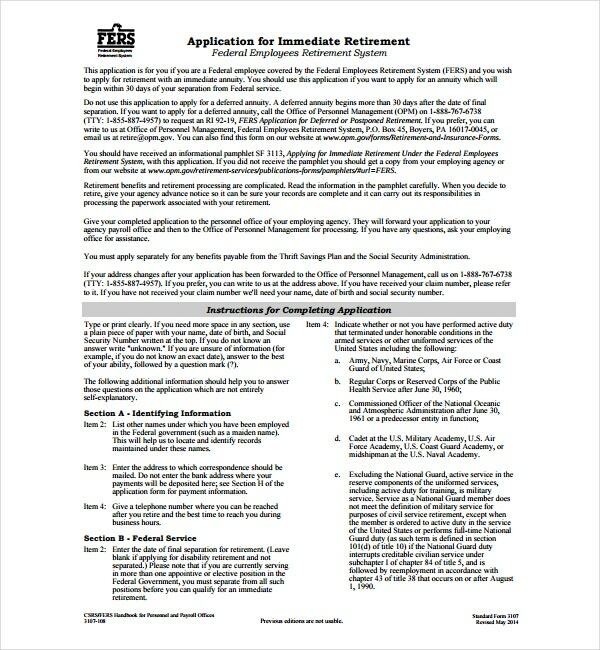 You may also see simple retirement letter templates. Sometimes bad health can get in the way in making a career for ourselves. For someone who has been carrying a disease since his younger days, early retirement is best taken to prevent his condition from worsening. Health is wealth, they say. It should be prioritized no matter how fun the job is and how much it pays you. Our bodies are the reasons why we can carry on so much work. If the condition worsens over time, it’s better to retire early and focus on maintaining physical wellness to improve the health. Doing so much work while being sick only adds stress. When you retire early, you have better chance and more time to recover. You can eat and sleep well and receive care from your family. Tender love and care can help you recover faster than you think it is. You may also see letter of resignations. We all have to admit that we have a passion that we didn’t choose to pursue. Maybe it is not that practical for the family and it doesn’t give us a stable income. In the end, it will make us settle for a job that we grow to learn and love while practicing our craft on the sideline. We only get to pursue them when the right time comes. The sad thing is when we can’t pursue it at all. With early retirement, you get to pursue your passion since you have a lot of money to do so. Some people start a new business or hone their craft, even more, to make a new living out of it. While some spend their time in enjoying the little things they did not enjoy before. Having a passion for something makes us feel alive in any circumstance. It becomes our driving force to become a better version of ourselves. 6. Travel locally and abroad. 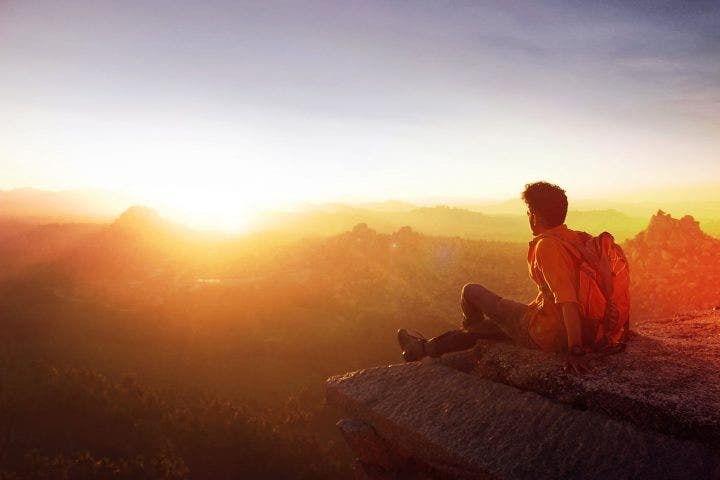 Some people go on early retirement to live their dream of traveling the world. There is something therapeutic and worthwhile about traveling. It eases stress and creates more memories. This is one of the ways people who retire early enjoy the fruit of their labor. They get to enjoy both local and international tourism and share stories with others. Traveling still offers more opportunities and benefits to solo retirees. They might stumble on something that they can use to make extra money or be inspired to travel more. You may also see professional resignation letters. 7. Enhancing relationships with family. Early retirees get to improve their relationship with family members that they might have been neglected while they were working. Work takes more time away from the ones you really love for a long time. If you decide on retiring early, you get to reconnect with your family and make your bond stronger. There are more memories to catch up and more things to do. Be with your family while you still can. You may also see retirement resignation letter templates. 8. Taking care of a family business or making one. Some people have family businesses but chose to apply for a job for the meantime. As the years go by, some businesses thrive while some are at the verge of bankruptcy. When one retires early, he gets to take care of the family businesses and make it prosper again. Since he has more time in his hands, he can focus on the business. Other people retire early to make their own business after saving enough money. This reason is also understandable as long as the savings are more than enough to start a business. You may aslo see sample personal resignation letters. Retirement is something we have to look forward to as we start having our own income. We need to save up for the future because we always don’t know what will happen next when we thought we had it planned out. You may also see thank you resignation letters.